Herbal medicine is the oldest form of medicine known to man. It means using whole plants – leaf, root, berry, flower and bark to create medicines. Countless drugs are still derived from plant sources and more than 80% of the world’s population still depend on herbal medicine for survival. Herbal medicine can support the body to heal itself or while it is undergoing orthodox treatment. Some people prefer to use herbal medicine as a lifestyle choice. Some people turn to herbal medicine to assist them with a chronic illness, often where orthodox medicine has been unable to help. Patients with long term conditions can find a new level of wellbeing using herbal medicine either alongside or in place of their orthodox treatment. Medical herbalists are taught to diagnose medicine in the same way as orthodox doctors but believe in treating a patient holistically to achieve the best results. This means treating the person, not the disease and getting to the root cause of the problem not just relieving symptoms. Herbalists encourage patients to play an active role in their own wellbeing. Herbalists mix individual medicines for each patient. They have studied herb/drug interactions and know which plants can be used safely with specific pharmaceuticals. They can work in partnership with your GP or other health care provider. As balanced, natural products, herbal medicines have few side effects and are often more gentle on the body than modern drugs. However, herbs are powerful and it is always recommended that you consult a fully qualified medical herbalist rather than self-medicating as the strength and potential interactions of some herbs may be missed. Herbal medicine is available at the Carrick Clinic from medical herbalist and clinical director, Pamela Spence and may be used as part of the treatment programme suggested by naturopath Heather Thomson. 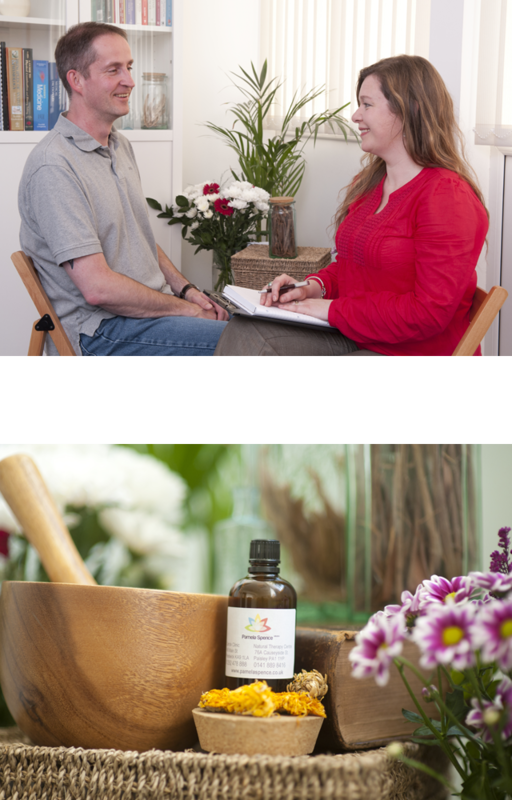 What’s involved in a herbal consultation? An initial consultation lasts for 60-75 minutes so we can get a complete picture of your overall health as well as focusing on the specific health problem. We will develop a treatment plan tailored to your particular needs and the appropriate herbal medicine will be dispensed. Dietary and lifestyle changes may be discussed. Medicine is usually in the form of a tincture (taken 2-3 times/day). A follow-up appointment is arranged for 3 weeks later to monitor progress and supply more medicine. Subsequent visits if required follow at 3 or 6 week intervals. The length of treatment varies with each individual case. All clinic records are securely kept and patient information treated with absolute confidentiality. Contact us if you have any questions or to book a herbal consultation.